The new Hopper system from DISH Network may not be perfect, but it comes closer to the ideal of a home video network than anything else I've seen. DISH CEO Joe Clayton introduced the new service at the Consumer Electronics Show in January and DISH made the first packages available early this spring. The Hopper is a set-top box that serves as the hub for the whole house. It has a beefy 2-terrabyte hard drive and three satellite tuners. You install the Hopper in one location, then add smalls receiver called Joeys to TVs in other rooms. The system uses your existing cable connections to communicate with the remote boxes, so there's no new wiring involved. The Hopper contains a central DVR, so you can tag a show to be recorded from any room and watch in in any room. And it's robust enough to capture and store several programs, even if they were all being broadcast at the same time. Like other cable and satellite services, DISH offers a range of programming packages. The Full Monty has eight HBO channels, seven Starz channels and six versions of Encore plus niche channels like Russia Today, RFD-TV, and Planet Green and more shopping and pay-per-view channels than anyone could ask for. The only thing missing, says my daughter, is a fitness channel. A key feature for Hopper users is something DISH calls PrimeTime Anytime. Once you turn it on, the Hopper will record all shows broadcast every night between 7-11 p.m. on ABC, NBC, CBS, and FOX. The shows stay on the Hopper's hard drive for up to eight days. For remote access, the Hopper can be outfitted with an optional Sling adapter to deliver live or recorded programs to a computer, tablet or mobile phone. I've used it to watch sports at the office and movies at a coffee shop. The Hopper also has apps. There's a Weather Channel app that delivers a local forecast based on ZIP codes. You can also log into your Facebook and Pandora accounts. Instead of Neflix, DISH offers on-demand movies and TV shows through Blockbuster @Home. 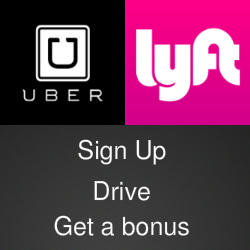 One more feature deserves to be mentioned. When your remote control goes missing, as it inevitably will, there's a button in the front of the Hopper and the Joey that will make the remote start beeping and flashing. That's something someone should have come up with long ago. 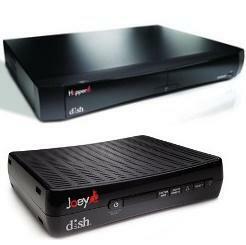 Prices start at $99 for current DISH customers who want to upgrade to the Hopper. New customers get the Hopper and up to three Joeys for free when they order a mid-tier or higher programming package. I don’t understand why CBS, FOX, & NBC execs don’t want us to enjoy commercial-free TV. I’m a DISH employee – AutoHop is great because you can easily watch commercial-free TV. Public Knowledge, a consumer advocacy group, is taking a stand for consumers by creating a petition that tells CBS, FOX, & NBC media to keep their hands out of your living room & DVR. Sign their petition to keep control of how you watch TV http://bit.ly/KFdn1Q.